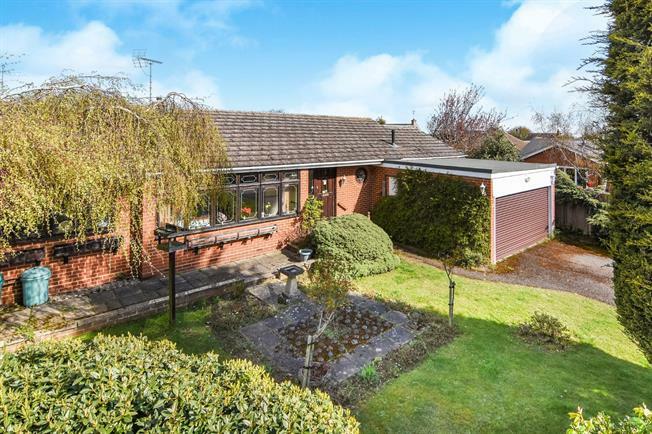 4 Bedroom Detached Bungalow For Sale in Chelmsford for Asking Price £525,000. This bright and airy family bungalow has previously been extended and offers four good sized bedrooms and a further separate dining leading from the lounge. The fitted kitchen overlooks the well loved rear garden and is adjacent to the utility room that leads through to access to the double garage. To the front is parking for two vehicles and a privacy hedge encompasses the property. Remote control access for the garage. The rear garden can be accessed by three different patio doors from the master bedroom, lounge and utility room. The garden is part block paved with the remainder laid to lawn and surrounds the shallow pond. The bungalow also benefits from an en-suite shower room to the master, further shower room to the front and a family bathroom. With plenty to offer in a great location, this family sized bungalow must be viewed to be fully appreciated.